Annual border plants are a classic choice for maximum color and texture over a long season, as the plants bloom repeatedly and fill-in quickly. Plants suited to annual borders can be mixed and matched to suit the setting and desired feel. Mixed, bright blooms and spiky foliage make for a hot , high energy combination. pastels blooms and silver-leaved selections tend to cool and soothe, and large masses of just one or two varieties have a more formal appearance. Border beds, edging, window boxes. General purpose liquid or granulated fertilizer for blooming plants. Apply according to package directions. Water 2 - 3 times per week. 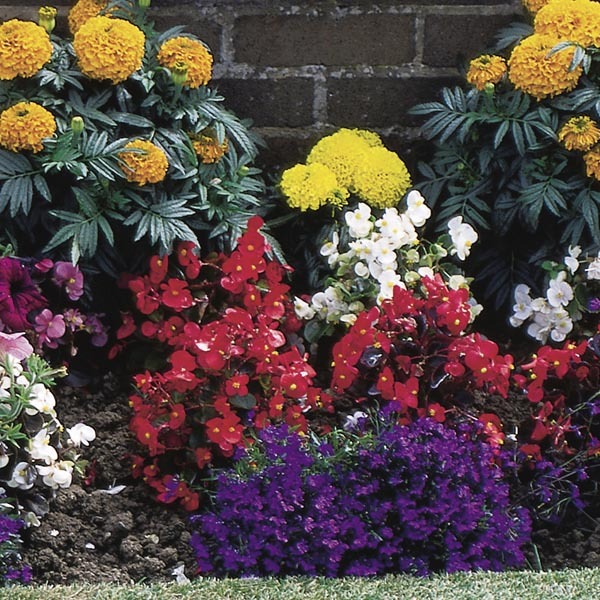 Annuals are easy to grow! Best in fertile, well-drained soil. Keep soil moist, watering freely in dry weather. Fertilize regularly for best display.